“The point is this: whoever sows sparingly will also reap sparingly, and whoever sows bountifully will also reap bountifully” (v. 6). Any study of the Mosaic law and its role in the new covenant cannot help but note that some elements of it are no longer binding on the Christian. 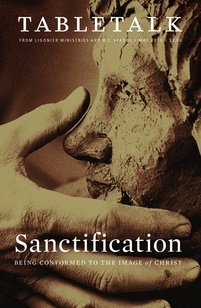 Sacrifices that were made for atonement, for example, do not continue to be offered in the church because Jesus accomplished the purpose of the burnt offering in His death (Heb. 10:1–18). On the other hand, the New Testament is clear that new covenant believers will continue to live in a manner consistent with the other laws revealed to Moses. Stealing, for instance, did not suddenly become permissible once Jesus came to redeem His people (Ex. 20:15; Eph. 4:28). The principles behind the grain offering (Lev. 2) are still in operation under the new covenant. God’s promise of restoration to Israel upon their repentance included the restoration of their fruitfulness that they might offer the grain offering once more (Joel 2:12–27). We live in the period of restoration, when God by His Spirit is restoring the fortunes of Israel, adding representatives of all nations to His covenant people (Isa. 55; Matt. 28:18–20). As such, Christians are expected to bring the fruit of their labors to God, just as believers brought their grain offerings during the old covenant period. In this way, the principles of the grain offering are fulfilled today. The grain offering was originally given to support the work and ministry of worship and education at the tabernacle/temple (Lev. 2:3, 10). Giving in the new covenant serves a similar purpose, which is one of the points of today’s passage. Paul is encouraging the church in Corinth to contribute to a collection he is taking up to benefit the poor people who are members of the Jerusalem church (2 Cor. 8:1–9:5). In 9:6–15, the apostle reaches the high point of his appeal, calling on the Corinthians to give generously and so experience God’s blessing. Our Lord wants our hearts, so it does little good to give to His work with a clenched fist holding onto every last coin. Instead, we must give joyfully, understanding that giving is not mere obedience to a command but a chance to further the work of the kingdom. Nothing could be more joyful, and what is more, the Lord Himself adds to this joy. Dr. John MacArthur writes, “God loves a heart that is enthusiastically thrilled with the pleasure of giving” (The MacArthur Bible Commentary, p. 1,640). Prosperity preachers pervert the Word of God when they call on believers to demand that the Lord bless them a hundredfold when they give. Still, we should expect that God will abundantly bless us when we give with a cheerful heart (but not necessarily with money). Therefore, we should be looking for opportunities to help the church cover its expenses for ministries such as missions (both at home and abroad) and serving the poor.